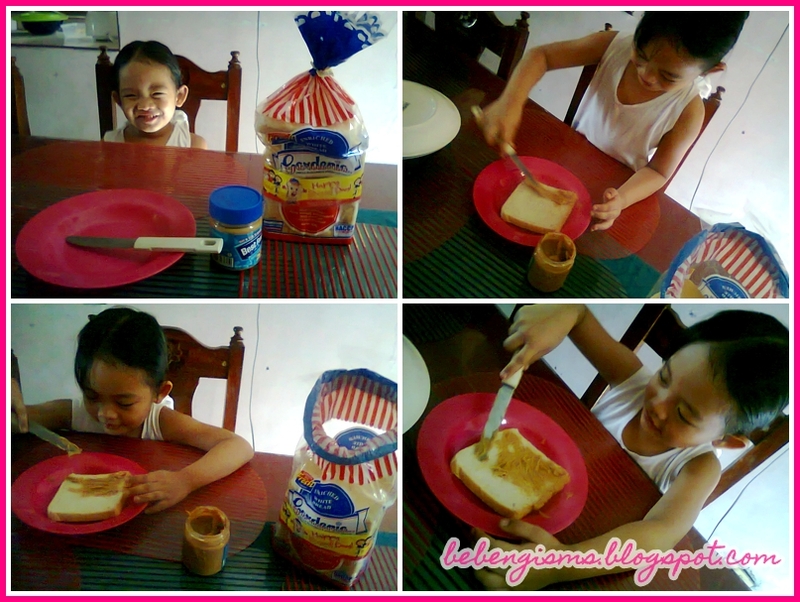 Royal Domesticity by Denise Rayala: Sophia's Happy Bread Day! Gardenia Philippines made this day their Happy Bread Day in celebration of the World Bread Day, which was created by Union of Bakers and Bakers-Confectioners, an organization of bakers from across the globe whose members were from places where bread plays a prominent role in people’s diet. Gardenia Philippines held their event at Eastwood City, Libis in Quezon City. We were not there to attend the full-of-free-breads event but we celebrated it at home in our own way. Sophia was absent when her class had a sandwich-making activity. I was sick that day and thought it was just flu, but it was already a symptom of having a ruptured ectopic pregnancy; so she didn't experience making her own sandwich with her own little hands. When I saw the photos in Primemont Science School's FB fan page, I felt a bit bad for my little girl. So I made a mental note that I will teach her how to make her own sandwich at home. I think spreading the jam is a good practice to making palitada the semento. Haha! And I did. 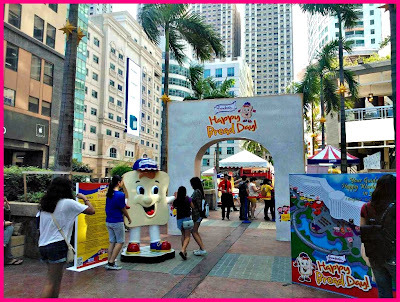 We made it today in time for Gardenia Philippines' Happy Bread Day! 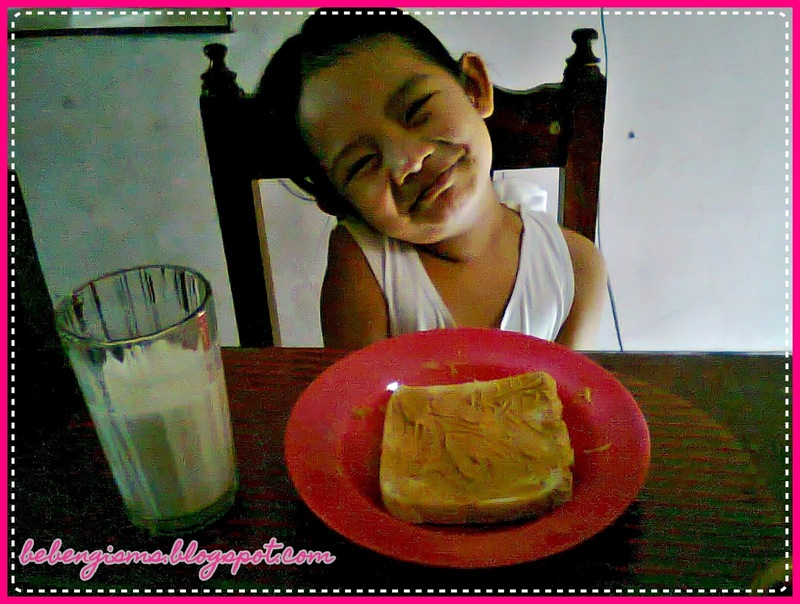 Of course, we used Gardenia white bread and the family's favorite spread --- peanut butter! When I instructed Sophia to not leave any white spaces when applying the PB, she excitingly replied with "that's what Teacher Lois said!" She was amazed at how I made my sandwich looked neat so she asked for my help. I refused and told her to do what she can and she did good. Ang cute nung last photo ni Sophia!